If you asked ICG members which benefits they value the most, they might reply that while the camaraderie is nice, the real value comes from a combination of the level of professional development offered and the support they receive in raising their business acumen. The ICG is committed to continuing professional development , training, and certification for our members. ICG Certification is a mark of excellence for club makers and club fitters demonstrating mastery of the latest technology and techniques in the golf industry. Our greatest success to date in professional development continues to be an ongoing series of monthly live webinars from the golf industry's leading experts. Our ICG Resource Library is a rich source of new information with ICG Chapter meeting videos, clubmaking tips, clubmaker of the year video essays and questionaries, PDFs and many other articles (80+ to date). We'll be at the PGA Show again in January, 2017. For the third year in a row, we'll have a significant presence at the PGA Demo Day (Range 5) with tent and hitting bays featuring products and demos from some of our sponsors. We'll be in Meeting Room W209B (just off the Exhibition Hall on the same level) for the next three days. 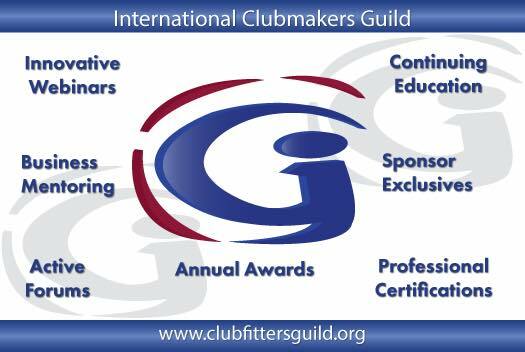 We'll also be announcing our 2017 ICG Clubmakers of the Year, 2017 ICG Hall of Fame Class, our ICG Best Member List, and other new initiatives. View video highlights from our past two shows here. 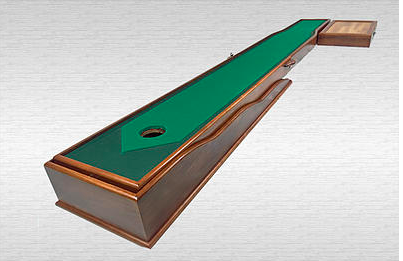 The International Clubmakers’ Guild understands the value of live, hands-on instruction and interpersonal networking. Our regional chapters offer members the opportunity to attend educational programs, participate and attend sponsored events such as group demo days and golf trade show events on a global basis. Our longest running chapter is the Great Lakes Chapter of the ICG. Watch highlights of their Fall 2015 meeting here. The Europe Chapter of the ICG had its first meeting in late November 2015 with 35 attendees. View Europe Chapter Meeting highlights here. The Florida Chapter held their first meeting in Lakeland in May 2016, The Great Lakes Chapter of the ICG met on May 22nd in Fenton Township, Michigan, and 28 members of our new Spain Chapter in Madrid met for the first time on July 9th and 10th (view Spain Chapter meeting highlights here). The Europe Chapter held their second annual meeting from September 9th to September 11th at the Fairmont Hotel in St. Andrews, Scotland. (View Meeting Highlights here) ICG VP Asia Eric Ng is planning a meeting in Singapore early next year around the HSBC Championship. A Regional Chapter Task Force, headed by Greg Courtnay, has been formed to help burgeoning chapters get on the right road map so success. Sponsors not only provide financial support of the ICG Mission and discounts to members, they are the experts in the golf industry, offering professional development through our webinars and helping design our certification exams. Our new web site has a first class Google map. Customers can now find which ICG members are in their area. You can provide all of your contact info by editing your profile, including phone number, address, email, web site, as well as list any other credentials you think would be important to that customer. ICG admins receive numerous requests monthly on which ICG members service their area. Now you can put yourself on the map and the customer can find and contact you directly. Certified members will soon have access to full page profiles on GolfMDs. Other Member Benefits include free admission to the PGA Merchandise Show with a buyers badge. Join now and talk golf with some of the smartest fitters and builders in the world. Want something different and not more of the same? Just remember that we are not your "grandfathers" club maker / fitter group. Come and join! We promise that you'll like us!